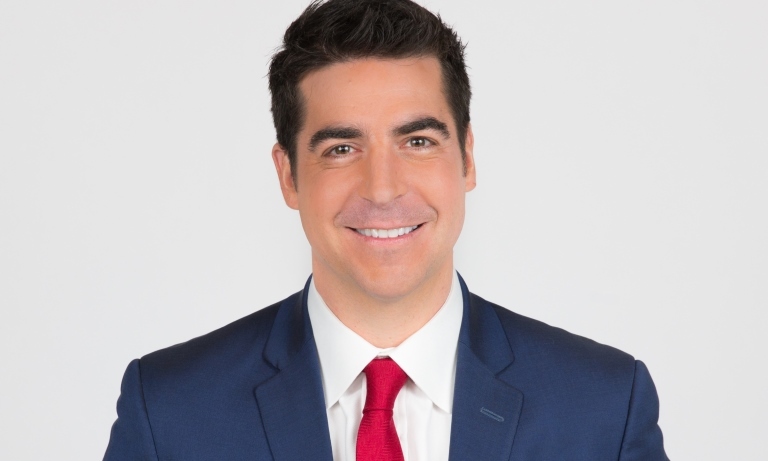 Fox News Channel’s Jesse Watters is known as the funny guy that hosts the man-on-the-street segment Watters World during The O’Reilly Factor. That’s about to change, as FNC announced Watters will have a series of his own monthly specials starting Saturday, Nov. 14 at 10 p.m. ET. The specials will also be called Watters World, with each hour-long episode focusing on specific events or topics pertaining to the 2016 election cycle. We caught up with Watters for 5 Questions about wearing denim-on-denim outfits, his twins girls and his favorite places to eat. TVNewser: What’s your off-camera relationship with Bill O’Reilly like? Watters: Bill is a very busy man so we don’t see each other a lot out of the office. Bill’s got the books, the speaking, the shows, he’s got a lot going on. The times we do see each other out of the office, maybe we’ll catch a Mets game or be on a flight together… I always enjoy hanging out with Bill. He’s a great guy. He’s taught me a lot about this business and I owe a lot to him and really admire him. TVNewser: You started as a production assistant, but did you have dreams of ending up on-camera all along? Watters: No, I did not. I was a history major in college and wanted to make a lot of money on Wall Street. Then I realized you had to do math in order to handle a lot of people’s money so that didn’t work out. I got a job with Fox because I like politics, but I never had dreams of being on air. One time Bill [O’Reilly] said, ‘Watters go down and confront that judge.’ I flew down to Alabama, went up to this judge, confronted him and I ended up ambushing the wrong judge. That was the first time I was ever in the field, so I got off to a rocky start but it was good from there on out. TVNewser: You’re known for your man-on-the-street segments. 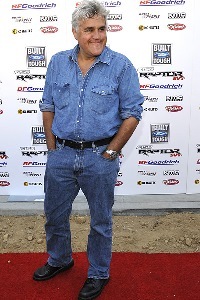 Have you ever considered wearing a Canadian tuxedo to pay tribute to man-on-the-street pioneer Jay Leno? Watters: I don’t like to wear tuxedos, it’s not my style. but if I do wear a tuxedo, it will not be Canadian. I was not really familiar with Leno’s Jaywalking when I started doing Watters World. I go to bed early, I don’t stay up for that stuff. But now watching what it is he did, and still does, it is so funny what he does. People have been doing this for a long time and it’s always entertaining hearing what regular folks think. 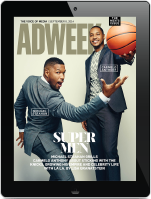 Listen, if I wore denim the collar would have to be up. That would be the only way I’d wear a denim jacket. TVNewser: I’m not sure if O’Reilly Factor fans realize you have twin girls at home. What is Jesse Watters the family man like? Watters: When I come home, it’s not Watters World, it’s my wife’s world. It’s different, let’s put it that way. I’m cleaning. I’m helping. They dictate my life. The world revolves around them when I’m at home. I try to get them to play sports, we watch TV, I read O’Reilly’s books to them. They don’t really get it but I try anyway. They’re great kids, I love them so much. It’s nice to come home and have them there. TVNewser: What’s your favorite restaurant? Be specific, please. Watters: Prime in Huntington, N.Y. It’s a steakhouse. I get the tornado sushi roll to start and a New York strip steak with the parmesan crust, which is very good. My other favorite restaurant, which is more low key but delicious, it’s Italian called Tutto Pazzo. Luigi is the head guy there. He’s my man and I usually get the goat cheese stuffed artichoke appetizer and any of their fresh pasta.